In many ways it has. Docker has emerged as the “King of Containers” with more and more enterprises adopting Docker technology to run applications in data centers, on IT infrastructure and developer laptops alike. Docker’s decoupling of applications from their environments has effectively revolutionized how software is run. However, as with any (relatively) new technology, there is still much to be done. One of the biggest concerns with Docker, the one that is impeding its large scale adoption on enterprise platforms, is the runtime security of Docker containers. But there’s another aspect of security that is receiving less attention, but is no less important – the Docker registries on which images are stored. These are generally public, so anyone can download anything. Even though DockerHub does offer private registries, enterprises are still not quite ready to upload their IP to the cloud – whether it’s Docker images or applications. Local Docker registry (download from Docker, install and maintain), local RubyGems service (download from RubyGems, install and maintain), local npm registry (same here), local pypiserver… You got the idea. You have to run and babysit half-a-dozen servers to provide similar local-server functionality for your development stack. And of course, they do not integrate between themselves. Anticipate the joy of managing users in each and every one of them separately? Features, features, features. When every technology stack tries to re-invent the wheel in the non-core business, the product is mediocre, at best. How about advanced permission schemes? Integration with existing A&A infrastructure? Promotion pipelines? De-duplicated, append-only one-time storage? And I just got started. And yes, you can define as many local repositories as you like – one for each software technology you’re using and more. So if you’re looking to “containerize”, a Binary Repository Manager is the tugboat that will pull your ship into port. You get secure, private Docker registries for your images as well as a host of other features that any modern organization doing software development, shouldn’t live without. P.S. 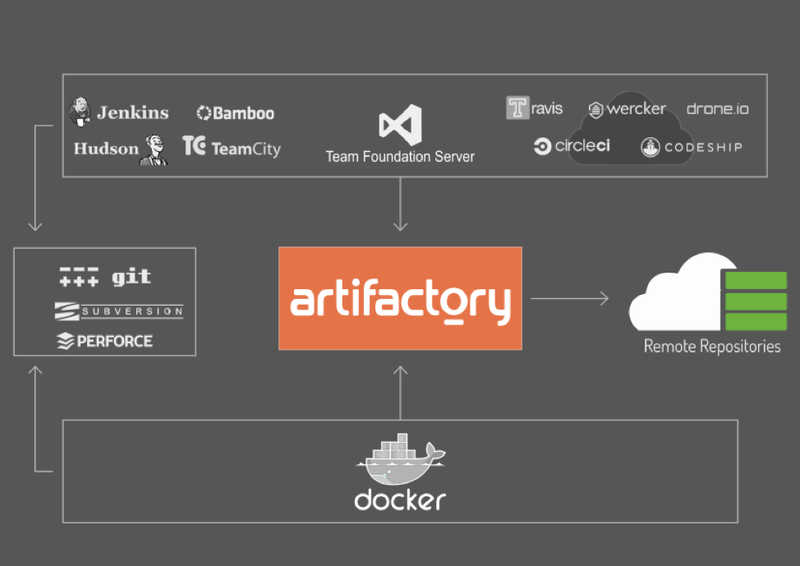 Want to know more about Artifactory Docker integration? There is still time to register to our Docker webinar. Here are the full details!